Certain moments in football lend themselves to immortality on highlight reels when they occur. At Manchester United under Sir Alex Ferguson, those instances were never too far away. Even so, this piece of play remains fresh in the head. In late October 2008, West Ham arrived at Old Trafford to play the European Champions. 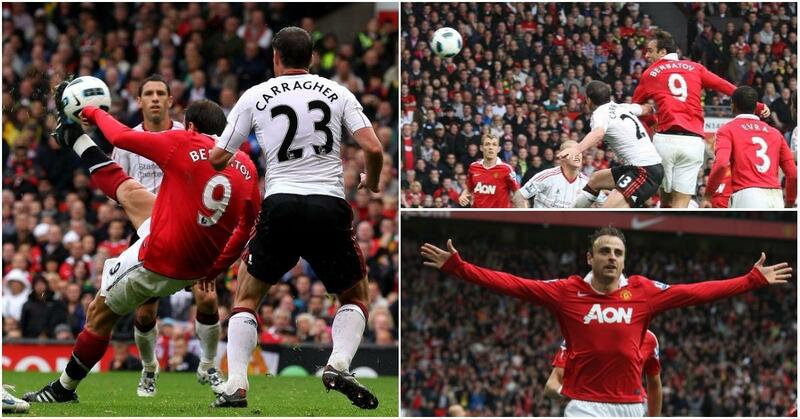 The match was finely poised at 1-0 when Dimitar Berbatov proceeded to fashion a glorious second goal. Anderson’s over-hit through ball attempted to find the Bulgarian. It seemed as though the ball would inevitably race out of play. It would have been some feat to keep that ball in play. To earn a corner, would have been great work, however, to pirouette and drag the ball on the touchline past the defender with sublime balance, all in one fluid motion? Jaw dropping, breath-taking, or as the locals would say, Cantona- esque. Ronaldo pounced on the ball inside the box to ensure Berbatov registered one of the best assists Old Trafford had seen in a long time. United had prodigious attackers at the time. Raw, direct, devastatingly quick players on the break like Carlos Tevez and Ronaldo. There was Wayne Rooney to get thunder and energy into the side. But only one man brought the ice, composure, and deftness of skill to this setup of blistering pace and energy. A fantastic player in his own right, yet so different to the type of attackers United had at the time. A player fondly remembered across the world by United fans. One Dimitar Berbatov. Here, we take a look at his rise and reign. Sir Alex often said to his players, ‘ the easiest thing in the world is to work hard’. And there was no shortage of steel or grit in young Berbatov. Growing up on the streets of communist Bulgaria presented a set of challenges far bigger than football. As Berbatov himself noted in a column he penned for Manchester United’s website years later, the queues for food stretched for kilometers. As a child, he’d take turns standing in line with his family to get bread. A trying and bleak period, but one that would build strong mental reserves in his mentality. “He would not answer his phone and didn’t want to talk to anybody. He was in pain. Dimitar was even thinking of abandoning football. We convinced him to continue”. Berbatov knew he was finished in his homeland. Change came, with its sweeping winds. 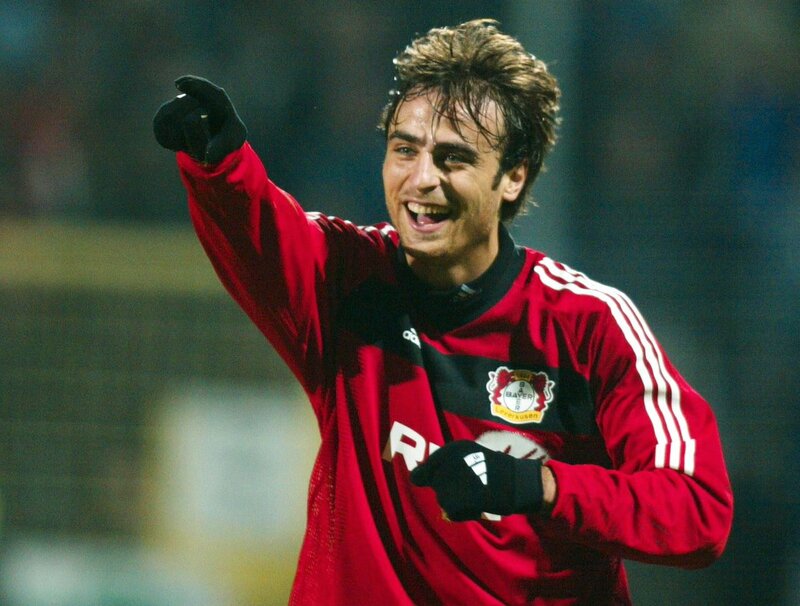 Bayer Leverkusen came calling, and Berbatov made his move to the Bundesliga on New Year’s day of 2001. Berbatov recollects later that it would have been easy to return home, given his lack of fluency in German and the alien new environment. He stuck through for his family and came out the other side flying. After a bedding-in phase, Berbatov made a jump in goal output. 16 goals in 24 appearances in the league campaign of 2003-04, were followed by 46 in the next two. 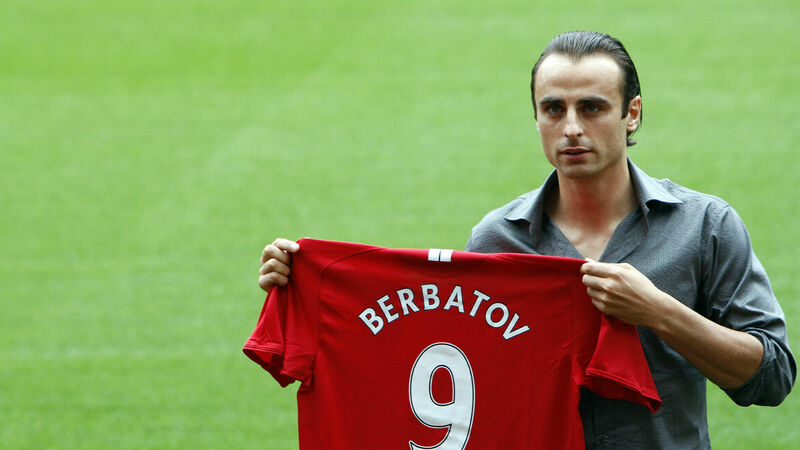 Berbatov featured in the Champions League as well and was on the radar for a big move. Tottenham Hotspur came calling in May 2006, and a fee of 10.9 million pounds was agreed. Berbatov instantly lit the league up, netting 12 times and finishing in the PFA Team of the Year in his first campaign. Berbatov then netted 15 times the following campaign and was on the cusp of his career’s biggest move. From Bulgaria and difficulty to the Theater of Dreams. Sir Alex went on write in his Autobiography he signed Berbatov because ‘he had that lovely balance and composure in the attacking areas‘. The 30 million pound signing had a very mixed first year but managed to become the first Bulgarian to be part of a Premier League winning side. Sir Alex also wrote in his book that the signing of Berbatov had created an ‘impasse with Tevez, who wasn’t having any of it‘. Tevez was rotated often to make room for the Bulgarian and started looking for the exit. Dimitar Berbatov, Manchester United 2008. Ronaldo secured his dream move to Real Madrid, and Tevez infamously welcomed Manchester United fans to the growing lure and riches surrounding their noisy neighbors. There were more than a few nervous fans at the outset of the 2009-10 campaign when the club lost two of a trio of thrilling attackers who had won everything and conquered all. Old Trafford needed new heroes. Berbatov finished the 2009/10 campaign with 20 goal contributions in all competitions (12 goals and 8 assists). However, after 3 Title winning campaigns, United failed to bag a 4th successive league title that year. Questions were being raised with respect to the Bulgarian’s ability to spearhead United’s attack. Berbatov however, was not having any of it. He was determined to prove his critics wrong and went on to do so in phenomenal style in the 2010/11 season. He netted a stunning hat-trick against Liverpool in September 2010, becoming the first United player in 64 years to do so. Berbatov was a focal point for the title win in that season, netting 21 times and sharing a PFA team of the year slot and Golden Boot award with, as fate would have it, Carlos Tevez. “In training, he practiced getting to the ball faster. But when the play broke down he was inclined to walk. You couldn’t do that at our place. We had to regroup quickly or we would be too open, with too many players up the pitch”. Yet fans couldn’t take their eyes off the casual effortlessness of the man. A short, quick change of pace, lovely touches aplenty, and his predator-like clinical nature in front of goal endeared himself to United fans. Berbatov found the net 56 times over 149 appearances in all competitions for the Red Devils. He also bagged numerous assists over the course of his United career (27). Berbatov might not have legend status at Old Trafford, but he will certainly go down as a cult hero up there with the likes of Darren Fletcher, John O’Shea, and ‘3-lung’ Park. 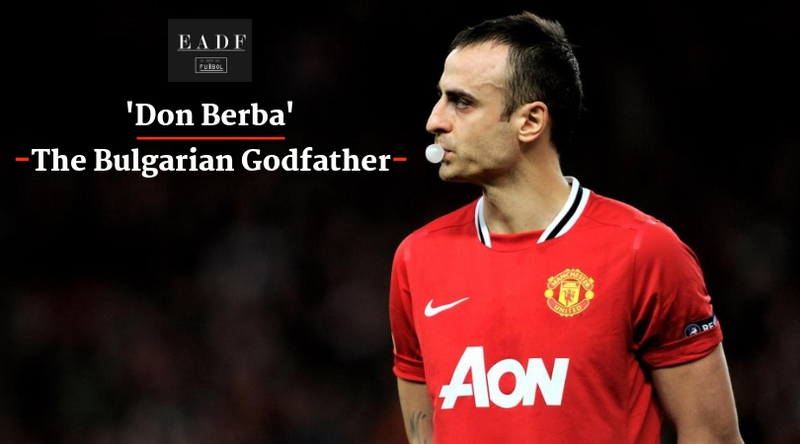 The only incident that cast shade in this wonderful phase of Berbatov’s career was the return of the infamous mafia. Berbatov’s mother received a call, asking for a sum of £500,000 to ensure her family’s safety. This time, however, Berbatov was stronger as a result facing his demons head-on. With the help of Sir Alex’s charter jet, his family was flown into Manchester. The incident was handled efficiently and easily cast aside. Berbatov parted ways with United at the beginning of the 2012/2013 campaign and moved on to Fulham. Work at Monaco and PAOK FC followed, and even a stint in India’s ISL promoting the beautiful game. The Dimitar Berbatov Foundation was recognized in 2012 by UNESCO, and Berbatov was made an ambassador for his terrific charitable efforts.